Dont know why I picked these two items but I have. 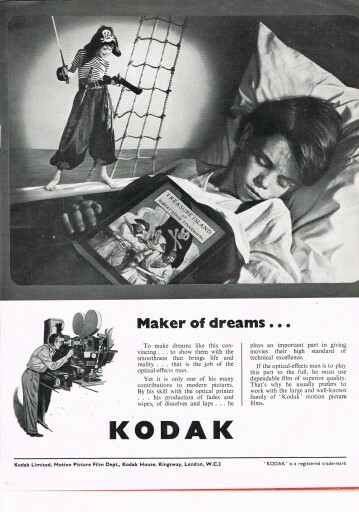 The Kodak advertisment comes from a publication called The Studio Review of 1950 and obviously seeks to capitalise on the release of Walt Disney’s Treasure Island – as a child one of my first memories of the cinema. 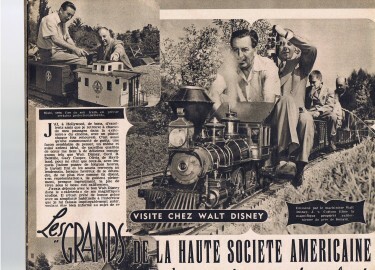 Walt Disney was a proclaimed master at promoting a film in the lead up to its release and afterwards too - as anyone who was around at the time of Davy Crockett King of the Wild Frontier will know. 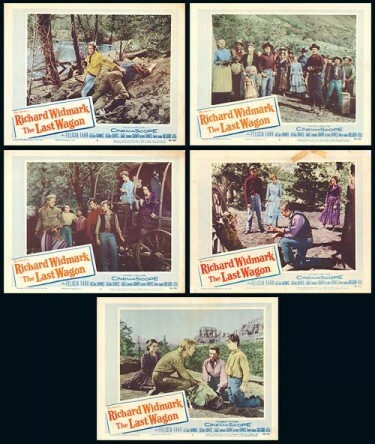 I bet most could still sing the song from the film although they would by now have discarded the Davy Crockett hats which we all wore at the time. 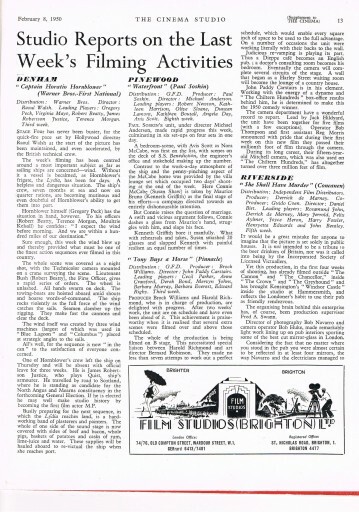 The first post I did in July of this year featured Treasure Island – well I had to start off somewhere and in terms of 50s films it wasn’t a bad place to start. 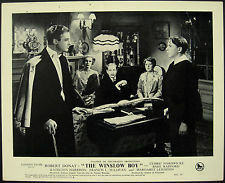 The boy in the picture does look a bit like Bobby Driscoll, who played Jim Hawkins but Jim Hawkins but its not him. 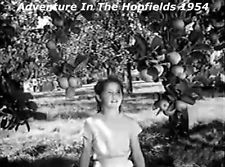 We then jump a few years to May 10th 1956 by which time TV was in full swing and one of the most memorable series EVER made was The Adventures of Robin Hood with Richard Greene. 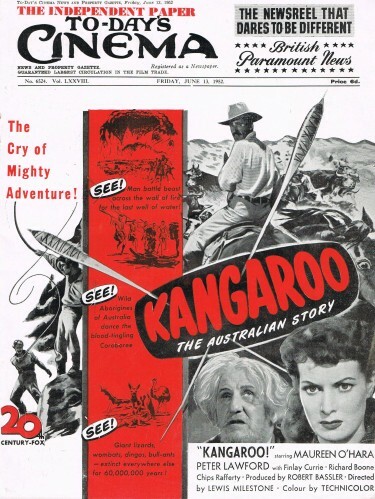 Made by Sapphire Films it became a great success in the USA. Who could forget that thrilling opening sequence as the arrow thuds into an oak tree with rousing music accompanying it, so setting the scene for the excitement of the next half hour. It’s funny how little things lodge in the memory because I do remember one of the episodes called ‘The Goldmaker’ which had Alfie Bass playing that part, an actor we all think of as Bootsie from The Army Game and later ‘Bootsie and Snudge’. He also had a small part in a film from the fifties that fascinates me called ‘ ‘The Night My Number Came Up’ about a dream of impending doom that becomes a self fulfiiling prophecy on a military transport plane in the far east. I will save that one for another day though. 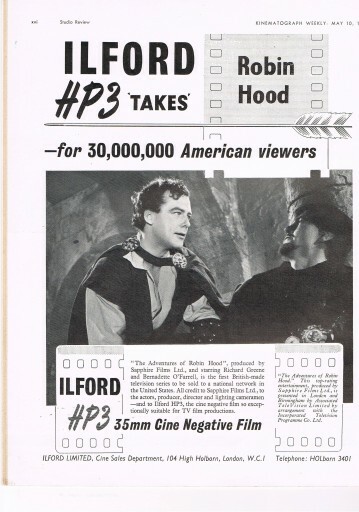 I do recall the slogan ‘Ilford Films for Faces and Places’ at the time and I have to say that based on the above it would seem that Ilford came out on top here although it’s fair to say it was published some 5 years after the Kodak one. In a way it just shows how the world moves on even in a few short years. 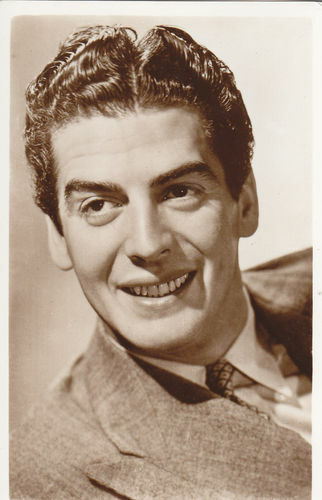 Victor Mature was my dad s favourite actor – dont know why but he liked him particularly in The Robe I remember. He was terrific as Samson in Samson and Delilah and this seemed to set him off into Biblical epics that became popular in the early to mid fifties. The Robe was followed by Demetrius and the Gladiators and The Egyptian – all of them pretty good. 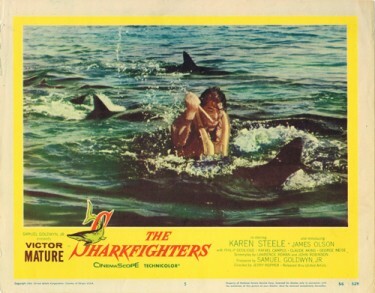 As regards The Sharkfighters it is not a film I have ever seen to be honest but I did always remember it and it seemed to me to underline the importance of timing as in almost any walk of life because this was a kind of ‘Jaws’ film although I wouldnt think anywhere near as good BUT the concept and fear in the film did not at that time gel with the public as it was to do 20 years later. The film was not successful – although I reckon it would have had a meagre budget compared to the Spielberg Blockbuster. Victor Mature had also impressed as Doc Holliday in My Darling Clementine in 1946 for John Ford and then on to The Las Vegas Story with Jane Russell – a film I remember from TV, years after it was made. 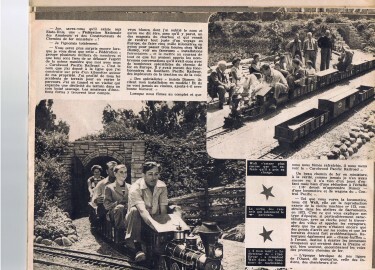 He also came to England – as many of stars of the day did – and made so-called epics such as Zarak and The Bandit of Zhobe but also a more limited budget type fim called The Long Haul about lorry drivers. I have a friend in the haulage business who, whilst not a film fan at all, often talks of The Long Haul because of the trucks on view ( of their time) and it is something of a curio to him. 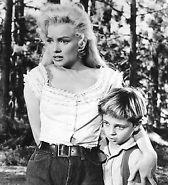 It also featured Diana Dors who was always good. She was an underrated actress really . His career was very varied. 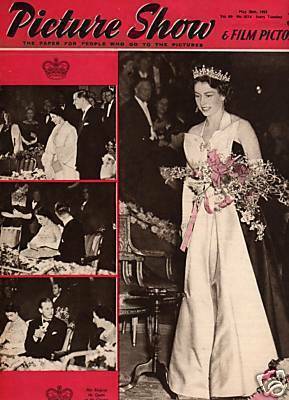 In 1952 he starred opposite Esther Williams in ‘Million Dollar Mermaid’ and she has something to say about him in her colourful autobiography ( which to me seems to stretch believability to the extreme ) and then on to ‘Androcles and the Lion’ opposite Jean Simmons and Robert Newton. 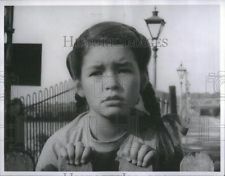 This was from the George Bernard Shaw play. Victor Mature spends more time drinking beer than fighting sharks in this shamefully bad film about a U.S. military shark-fighting operation in Cuba. It looks like it was shot with only camera (which has a hard time staying in focus). The film was probably just an excuse to take a vacation in Cuba. Mind you another of the comments gave it quite a good review - but this one made me laugh !! 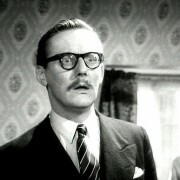 He did return to the screen after five years of of retirement and was lured back by the prospect of parodying himself in the Peter Sellers film ‘After The Fox’ . He gave a brilliant performance in this. 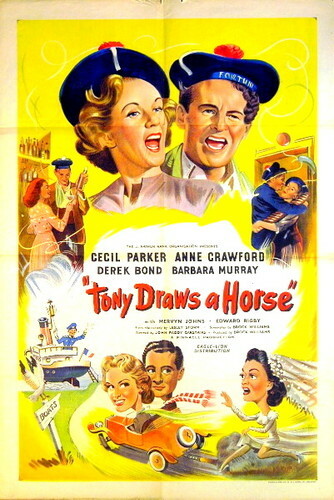 Mature was always a self-effacing star and had no delusions about his own work. He was married five times so not very successful in that area of life but overall he was very likeable and very good at his job. 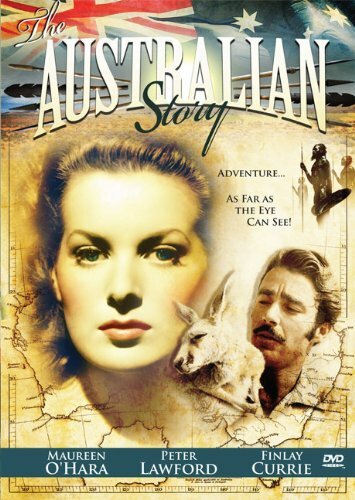 I have to say, generally speaking, I like to watch a VICTOR MATURE FILM. He fitted the role perfectly as A FILM STAR !!! I have always been fascinated by film studio sets and would love to have walked around one but never have. This one below I came across quite by chance from a film I didn’t know at all – but I am now trying to buy the DVD – it sounds good. This is a subject we will come back to time and again on this site as I find more pictures like this – Really good set I am sure you will agree. 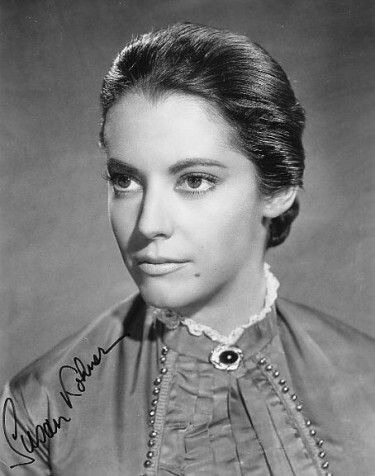 Honor Blackman, Roger Livesey, Geoffrey Keen, Vida Hope, Frederick Leister, Richard Burton, John Salew, Colin Gordon. 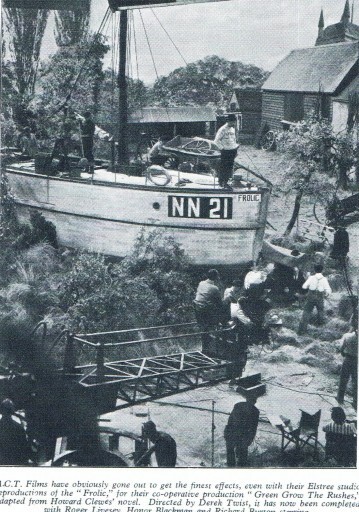 A group of enterprising smugglers make use of an ancient charter to smuggle brandy into the southern coast of England. When their ship is seized it looks like they are in trouble until the Customs Officers try & find out where the brandy went. 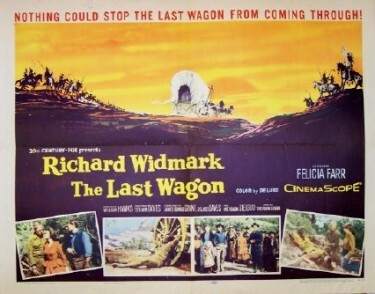 This was the last film that Richard Burton made in England before he went off to Hollywood. 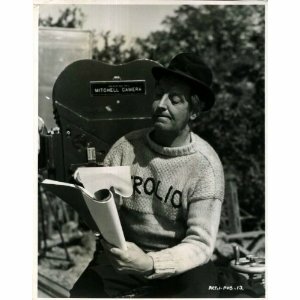 Keep a look out for Arnold Ridley well before Dads Army of course and Colin Gordon a very busy and very good actor. Does anyone remember him doing that brilliant Tax Inspector part in Steptoe and Son ‘Live Now PAYE Later’ when investigating Albert’s tax claim for his wife – who had been dead for many years – he is plied with drink by the old man. He gets well the worse for wear and his acting of this is superb. Actually I think that was the last TV part he played before his death. Colin was in countless Films and on TV and the stage even appearing on Broadway – so a seasoned actor and a very very good one at that. With John Wayne, Dean Martin and Ricky Nelson. When we first saw this as young lads what an impression it made on us. All action adventure in colour. What more could we have wanted- John Wayne and Dean Martin - and just for good measure the girl was Angie Dickinson looking really lovely. Also cast was pop singer Ricky Nelson who even had time to sing – as did Dean of course. 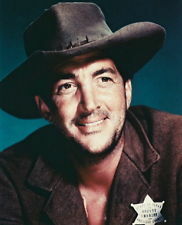 The scene in the saloon when Dean Martin is ridiculed when he comes in chasing a gunman was memorable. When he shoots the killer down from the attic he is exonerated and so turns the tables on the taunting mob. Big John has by then arrived and helps him put the crowd in their place. Thrilling stuff. Also we were able to see the old west as we thought it would have been – albeit a romanticised Hollywood version but to me that was all the better. 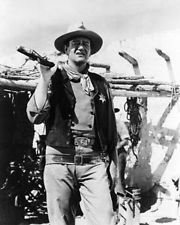 John Wayne excelled in this sort of role and he was great although he didn’t come anywhere near to the towering performance he gave as Ethan Edwards driven on for years in the hunt for his niece who had been kidnapped by Indians in that fabulous film ‘The Searchers’ which must come in to my own ‘top ten of all time’ films. Who could ever forget that final scene when he finds the girl (Natalie Wood). A very moving and memorable scene indeed. Dean Martin in the early fifties broke up from the successful film partnership with Jerry Lewis. At the time it was thought that Dean would be no good on his own. How wrong we all were ! Here he is with Walter Brennan in another scene. Ricky Nelson in contrast was not a film actor of any note. He was a recording singing star with Hits like Its Late and Never Be Anyone Else But You under his belt and it was maybe thought that he would help appeal to a younger set of fans. Maybe that was the case. 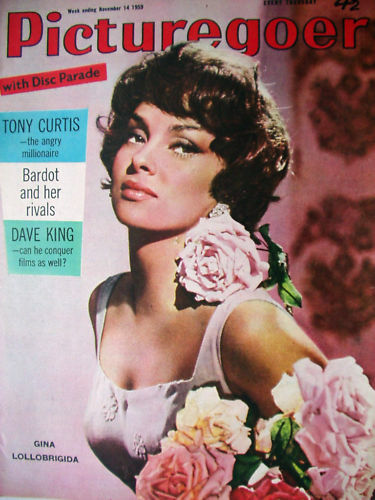 Angie Dickinson went on TV fame with Police Woman in the 70s although even by this time she had already been in westerns such as ‘Run of the Arrow’ and ‘Colt 45′ and in her long career she was seldom out of work and in both films and TV over decades. 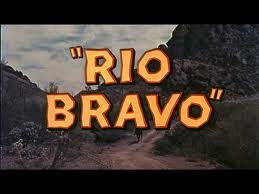 Rio Bravo was a good film and a good western – not a great one – but as young lads viewing this film in 1959 – who cares !! !